Melissa received her under graduate degree in Business and Marketing from the University of Minnesota-Duluth, in Duluth, MN. 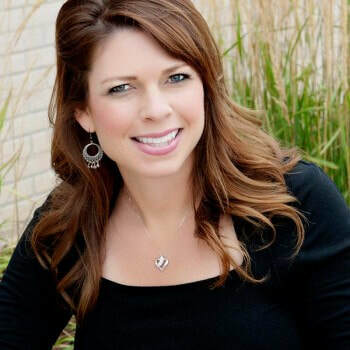 After realizing her passion for physical therapy, she received her Masters in Physical Therapy degree from the University of Mary, in Bismarck, ND in 1998. She returned to school to complete her Doctorate in Physical Therapy in 2009, from St. Catherine University, in St. Paul, MN. Lisa is a graduate of the University of Wisconsin-Madison where she earned her Bachelors degree in physical therapy and was a four-year letter winner on the Women’s Soccer team. She completed her Doctorate in physical therapy in 2009, from St. Catherine’s University, St. Paul MN. Although the majority of her experience is within orthopedics, she has worked in the field of home care as well. Lisa’s specialty is in evaluating and treating orthopedic conditions in adolescent, adult, athletic and geriatric populations. She enjoys assisting others to lead balanced and healthy lives and is passionate about helping individuals remain active and reach their goals. Lisa is married and has 2 children. In her leisure time, enjoys hiking, travel and volunteering. 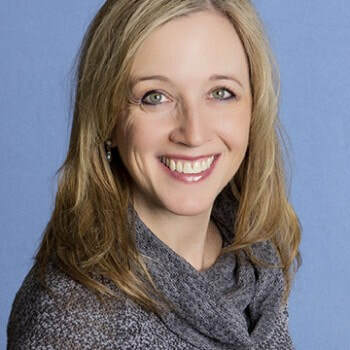 Jessica received her Bachelor’s degree in Kinesiology from the University of Minnesota then hopped the pond to obtain her Masters of Physiotherapy degree from The Robert Gordon University in Aberdeen, Scotland. Her combined love of travel and physical therapy allowed her to purse her degree and gain a unique perspective on healthcare in different cultures. She is currently pursuing her doctorate degree from The University of Montana. She has worked with individuals of all ages and degrees of impairments and welcomes the challenge to encourage individuals to achieve their health and wellness goals through education and empowerment. She is passionate about natural health and wellness and incorporating a holistic approach into her practice. Outside of work she enjoys traveling, serving on short-term mission trips, and spending time with family and friends. Mary received her doctorate from the US Army-Baylor University Doctoral Program in Physical Therapy in 2007. Her physical therapy experience is in outpatient orthopedics and postoperative care. She is retired from the US Army and is proud to have served Soldiers and their families as an outpatient physical therapist. As an Army PT, she implemented injury-prevention programs for individuals as well as an entire Brigade. Her physical therapy passion is preventing injury, whether that’s sharing knowledge with a group or doing a hands-on individual assessment and recommending solutions. Mary lives in the mountains near Laramie, Wyoming with her husband and two dogs where she enjoys hiking, rafting and just being outdoors. She also thoroughly enjoys traveling as well as spending time with her four step-kids and eight grandkids. Celeste graduated with a Masters in Physical Therapy from the University of North Dakota in 1998. She has worked in a variety of settings including pediatrics, inpatient, outpatient, and most recently home care. Through her passion to help people recover and live life to the fullest, Celeste began intensive studies in Myofascial Release through John F. Barnes, PT in March of 2018. She has taken numerous courses and incorporates these principles in with her daily work as a contract Physical Therapist. Celeste lives in Perham, MN with her husband, 4 kids, 4 dogs and a cat. Never a dull moment in the Kostohryz household! She enjoys summers with her family at the lake, kayaking, paddleboarding, camping, and riding bike. In her "spare time" she takes Tae Kwon Do with her daughter, helps with 4H, enjoys photography and an occasional good book. A.R.T.E was born in 2018 after he discovered humans would benefit from a free office ergonomic assessments. Seconds after taking a picture of yourself he will give you feedback based on the assessment he created. Not only is ARTE amazing at assessments he will help answer any question you have in the realm of ergonomics or health and wellness.